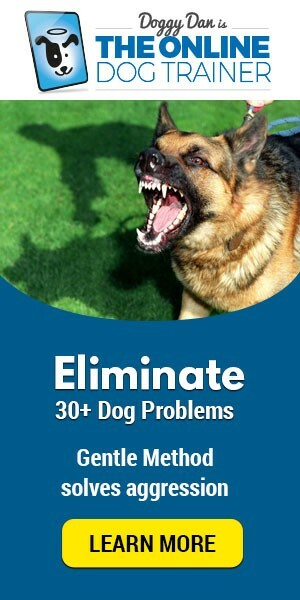 An everybody this is Joyce Moore certified dog trainer and owner of FreeDogTrainingClasses.com and I’m here today to talk about how to housebreak your dog in 3 Simple Steps. Anybody that has a puppy, the first thing they need to worry about housebreaking, so we’re not having the dog going to the bathroom all over the house. Nobody wants that. So we could go on, I could probably do an hour about it but we’re going to bust this down to a short article for you guys. We’re going to cover the really important fundamental housebreaking tips. Management, managing the puppy inside. Potty breaks, getting them to their potty spot on a regular basis. And number three cleaning it up properly so that it doesn’t smell. So let’s go with management. Management means that they’re not going to have free run of the house. You’re going to close the doors; You’re going to put up baby gates. You’re going to get an exercise pen. You’re going to get a crate and you’re going to keep them on the leash. And accidents should not be happening without you seeing it. If you’re finding surprises, you are not following the management plan. Simple as that. Next, we’ve got to get them to where we want them to where we want them to go, be it on potty pads if you live in an apartment or something like that. For most people, it’s going to be outside into the yard. You’re going to get them out there, every 1 to 2 hours. When they’re young, their system, the food, and water go through there quickly. They need to get out a lot. And every time you get them out then you’re going to reward them heavily. You’re going to praise them, “Good boy. Good girl. Good potty, right? Wooo. Yaaayyy. ”Make sure it’s after they’ve gone, don’t interrupt them while they’re in the middle of going And you can give them treats, too. Let them think, hey, my urine and feces are worth money out there indoors, they have no value. All right? So, that’s the key. Then also you’re going to look for certain triggers or certain times when they’re probably gonna need to go. – If they just woke up from a nap, get ’em out. – If they just got done playing, get ’em out. – If they just got done eating, they may need to go out. 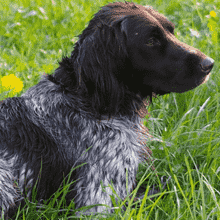 And also, watch for things like they tend to circle and sniffing and different dogs will give different cues. But, usually, when they’re sniffing and going in circles they’re looking for a spot to go to the bathroom to get them outside. Those are your keys there. Number three, a big one and I actually see a lot of people miss this is to clean up the mess. Not that most people don’t clean up the mess but they don’t use the right type of cleaners. They’re just using regular old household cleaners that smell good to us, smells clean to us but the dogs can still smell it. If it smells like a bathroom, it must be a bathroom to them, but get that is – and let it soak on there long enough to break that down and get rid of that smell so that the puppy can’t smell it. That’s it. You’ve got your management. Get them out there; reward them for going in the right spot. Clean up those messes. That’s it. That’s how you housebreak them. 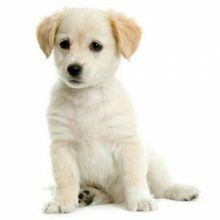 I’m Joyce Moore for FreeDogTrainingClasses.com, thank you for reading. 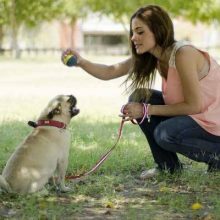 If you want to learn how to train a dog or puppy like a pro, you can try Doggy Dan’s The Online Dog Trainer program. 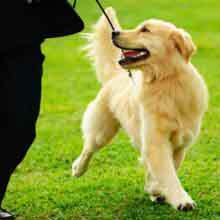 DO YOU HAVE ANY OTHER TIPS ON HOW TO HOUSEBREAK YOUR DOG IN 3 SIMPLE STEPS? SHARE BELOW!